Taking Spring & Fall Refit/Repair Requests. Click here! Newport Shipyard has 3,500 linear feet of space of available dock space and can handle yachts up to 300+ feet in length. Located in the heart of downtown Newport and within walking distance to restaurants, shopping, and historic attractions, the Shipyard is in a perfect location for visiting yacht owners, captains and crew. Stay for the weekend or the whole season! Newport Shipyard offers complete refit & repair services for motor vessels and sailing yachts. Equipped with three Marine Travelifts, including a 500 MT lift, we can haul out large yachts and provide many services including: paint, engine repair, carpentry, project management, electrical, machining, mast & rigging service work, and more. BELLE’S CAFE IS OPEN FOR THE 2019 SEASON! Newport Shipyard offers many onsite amenities including: Belle’s Café, Fitness Center, Ship Store & Chandlery, Courtesy Vehicles, Laundry, Golf Carts, and more. We also offer crew housing adjacent to the Shipyard which can help make refit & repair periods easy and more comfortable. We have full-time project managers & coordinators onsite to help make your stay efficient and enjoyable. Newport Shipyard, one of the most popular and recommended shipyards in the U.S., is a full-service marina and shipyard with over 3,500 linear feet of dock space that can accommodate yachts up to 300+ feet. Serving breakfast and lunch daily, Belle’s Café is a favorite among the yachting crowd and locals. 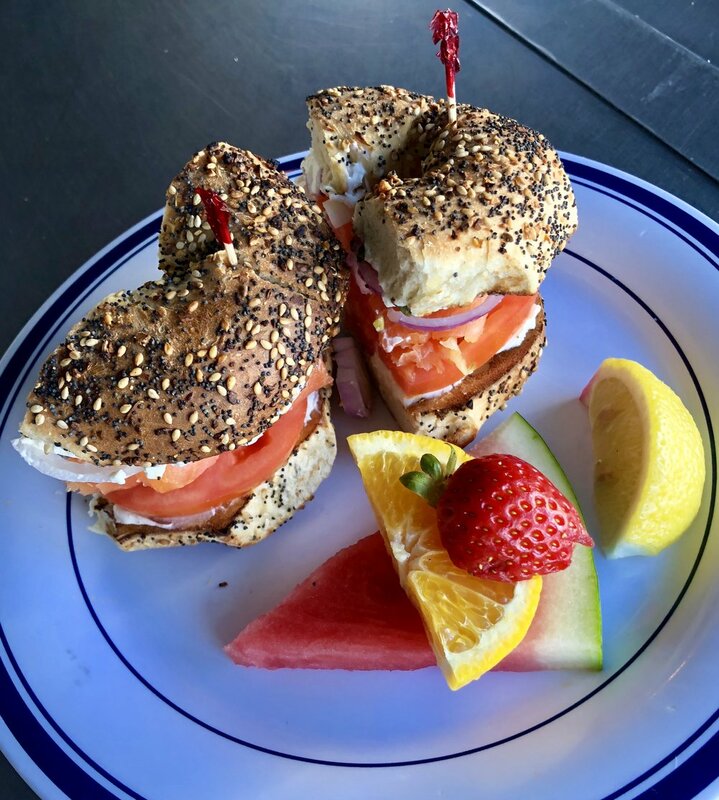 Come in for coffee, our famous Slammin’ Shipyard Sandwich, Twin Lobster Rolls or one of our many daily specials and you will not be disappointed! Newport Shipyard has many onsite amenities including: Courtesy Vehicles, Fitness Center, Belle’s Café, Ship Store, Chandlery, Laundry, Showers and more. In addition, Newport Shipyard offers crew housing across the street from the Shipyard which is ideal for yacht crew during an extended yard period. The Newport Shipyard team is comprised of employees and subcontractors who are committed to making your experience here a positive one. From our riggers and electricians to our dock staff and restaurant team, delivering excellent customer service is our #1 priority.